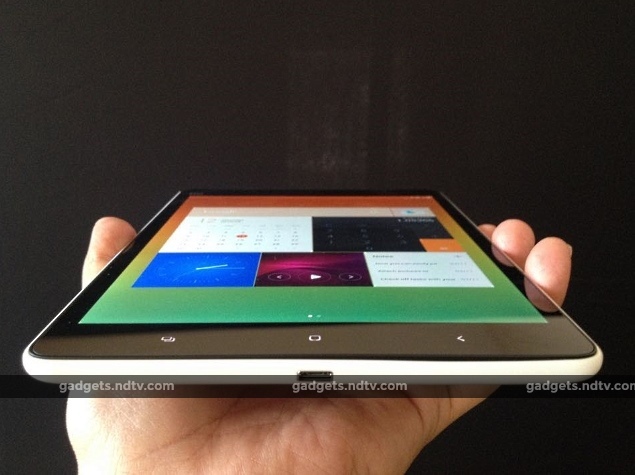 Xiaomi unveiled the Redmi 2 and MiPad for the Indian market on Thursday. The two devices offer the typical Mi package - great specifications at affordable prices. 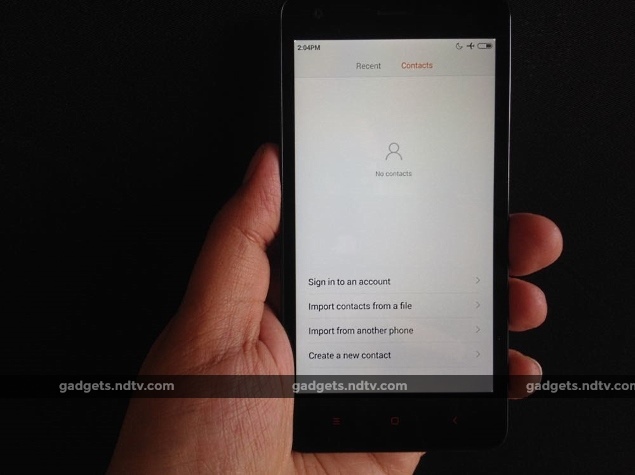 While the Xiaomi Redmi 2 is priced at Rs. 6,999, the Xiaomi MiPad tablet will be available in India at Rs. 12,999. We got some hands on time with the Redmi 2 and Mi Pad at the launch event in New Delhi, and while we'll reserve judgement until our full reviews next week, here are our initial thoughts on the design and some of the software elements. The first thing you notice about the Xiaomi Redmi 2 is that it is lighter than the Xiaomi Redmi 1S and overall easier to hold thanks to the edges that appear smoother than before. The build quality of affordable smartphones has come a long way in the last 12 months and the Redmi 2 is a testament to this. The device doesn't feel cheap in any way, though we can't say the same about the Xiaomi MiPad, which comes across as plasticky. At certain angles, the MiPad's resemblance to the iPad mini is uncanny (and not accidental, we are sure), though there's absolutely no mistaking one for the other when you hold the two devices in hand. There's nothing premium about the MiPad's finish, and that's alright given its price and the hardware it packs. The displays on both Redmi 2 and MiPad look crisp, though outdoor legibility is a bit of a concern, especially for the former. 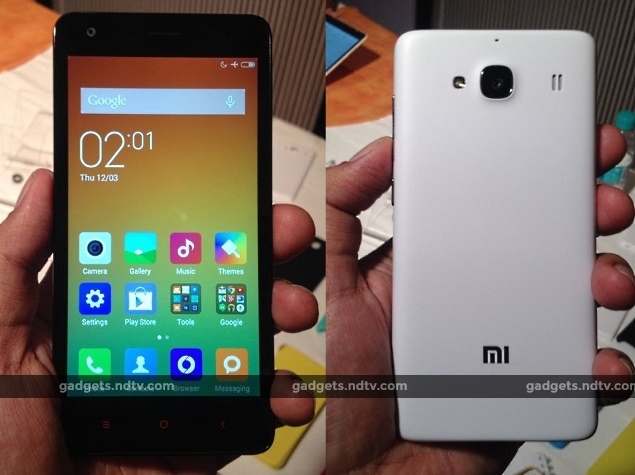 In terms of specifications, the Redmi 2 is not much of an upgrade over the Redmi 1S. The headline feature of the dual-SIM device is 4G support with both SIMs, a response no doubt to Micromax's Yu Yureka. Xiaomi's Hugo Barra even found time during the launch event to dismiss the Yureka, claiming Mi was about the overall experience and not just specifications. While 4G networks are not widespread, consumers already have a slew of affordable 4G smartphones to choose from, which will only be a good thing when LTE services start to roll out across the country. Unfortunately, our experience with the two devices wasn't great. The Xiaomi Redmi 2 comes with MIUI 6 on top of Android 4.4, and we are not sure whether or not the UI just hasn't been optimised for the hardware yet, but the animations on the Redmi 2 when jumping from one screen to the other seemed jerky. Of course it's possible that we are nitpicking here, and most Redmi 2 users might not even notice these problems since apps load pretty fast - the underlying Qualcomm Snapdragon 410 processor is no slouch. It's worth pointing out that Xiaomi is bringing the Redmi 2 to India with only 1GB of RAM and 8GB of internal storage (expandable by a rather measly 32GB). A "limited edition" variant with 2GB of RAM and 16GB of internal storage is slated to come to the country at a later date. Given the fact that the Redmi 1S had issues related to the amount of RAM available to apps, we'd be tempted to wait for the 2GB RAM variant. We'll have more to report on this when we run the Redmi 2 through our usual battery of tests over the next few days for our full review. Hugo Barra mentioned that Xiaomi had optimised its core apps for a better big-screen experience on the MiPad tablet, and we found these claims to be only partially true. While some aspects of the UI, such as the Quick Settings drawer and apps like File Explorer have incorporated some changes to make better use of the increased real estate, most apps - like Calendar and Calculator - are just blown up versions of what you see on phones. No effort has been made to show more information in Calendar, or at least offer more functions in the Calculator such as, say, a scientific mode. Of course, that problem is hardly Xiaomi's alone, and the lack of tablet-optimised apps continues to be a concern for the entire Android ecosystem. Stay tuned to NDTV Gadgets for full reviews of the Xiaomi Redmi 2 and Xiaomi MiPad. product Xiaomi Redmi 2 is priced at Rs. 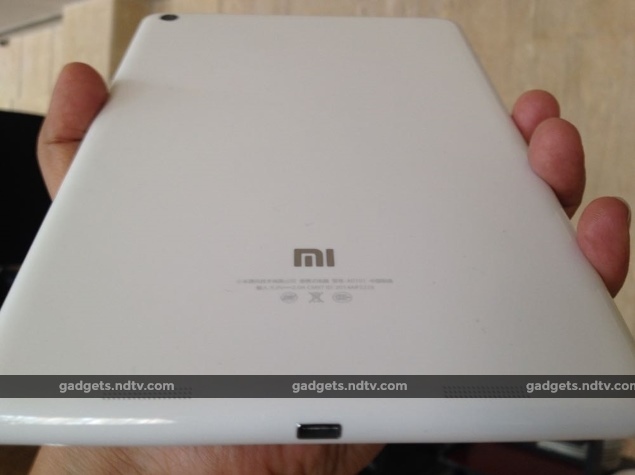 6,999, the Xiaomi MiPad tablet will be available in India at Rs. 12,999.